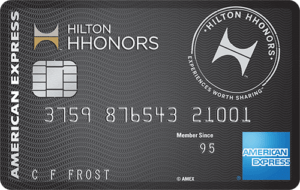 The card listed on this page is no longer available, but military members can get FREE Hilton Honors Diamond Status at all Hilton properties (Conrad, Hilton, Double Tree, etc.) with the American Express Hilton Honors Aspire card. The $450 annual fee is waived for all US servicemembers on 30 day active duty orders. American Express offers a tremendous benefit to their military customers: no annual fees on all of their credit cards, including their most prestigious Platinum cards. AMEX does this under the Servicemembers Civil Relief Act law, or SCRA. 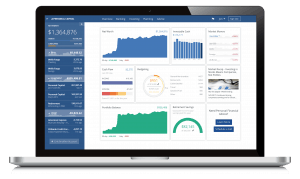 The most popular article on this site is about the AMEX SCRA benefit and has been featured on multiple news outlets including ABC and Yahoo! News. While AMEX's interpretation goes above and beyond the requirements of the SCRA law, all servicemembers are grateful for their tangible financial support. It's one thing to say “thank you for your service,” it's another to waive a $450 annual fee. You can request SCRA benefits online or over the phone. Details on American Express's website here. Meeting minimum spends on credit cards used to be stressful and I went for several years without opening a new credit card account. I did not want the stress of finding ways to meet the minimum spend! Now, I use Plastiq. Plastiq lets you pay bills that normally only accept checks with a credit card. They charge a fee, usually around 2.5% on the total transaction to cover the fees they have to pay the credit card company. If you are trying to meet a minimum spend, it can be worth paying the 2.5% processing fee. My rent is $1450 per month, so meeting a $3000 minimum spend in 3 months was pretty easy. I simply scheduled 2 months of rent payments on the AMEX card through Plastiq and then paid off the card with my normal paycheck a day or two after the payment posted. Now I have 100,000 extra Hilton HHonors points that I can use for a future vacation. After trying to use the online SCRA benefits inquiry tool on the AMEX website and getting an error two days in a row, I gave up and simply called the number on the back of the card: 1-800-297-1000. Mandy asked me a few standard SCRA questions and said AMEX would get back to me in a few days regarding my SCRA application. I should see the $75 annual fee that was charged on my first billing statement returned in the next few business days. When you are TDY or TAD anywhere in the world, there's a good chance that one of the 4600 Hilton branded properties is close by. They usually offer a government or military rate, equal to or lower than the per diem rate for that locale, even at their luxury or high end properties like Waldorf Astoria or Conrad. It's always worth checking the Hilton website or giving the property a call to see if they are offering military rate rooms. You may be required to show a CAC card or other form of military ID when you check in. 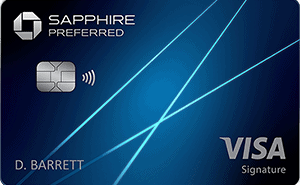 Have you used your American Express SCRA benefit? How much are you saving a year? Between my 3 AMEX cards I'm saving at least $275 a year in annual fees. I’m having trouble speaking to anyone in the SCRA department at Amex. Commission date of 93, cards date back to 90, 93. Was originally told al would be refunded. Never carried a balance but was looking forward to 25 years of fees. I received noticed of the issue resolved and 2 days later I had small credits that didn’t make any sense. I tried to speak with 3 different supervisors and keep getting the you can’t talk to them run around, yet not one person can or will explain the randomness of the credits. Any advice? Have you tried sending a secure message to AMEX through the website? THE AE PEOPLE ARE MISSING THE BOAT NOT EXTENDING THIS “BENEFIT” TO RETIREES. DUTY PEOPLE. SMSGT ROBERT J.HEIM,USAF RET. There’s no obligation under the law for AMEX to offer this military discount at all. The fact that they offer it to active duty personnel goes beyond the scope of the law. I know that when I separate or retire, I will lose access to the discount. That’s just the way the game is structured. “American Express offers a tremendous benefit to their military customers: no annual fees on all of their credit cards, including their most prestigious Platinum cards.” Close, but no “shack.” AmEx does NOT extend this nice bene. to those of us who’ve served the most/longest: Mil. RETIREES. :(! True, it would be nice if they extended the benefit to retirees, but AMEX already goes above and beyond the SCRA. The SCRA is really designed to protect active duty personnel from unscrupulous financial practices. AMEX just offers a few more discounts.